What? From the show website: "C.S. 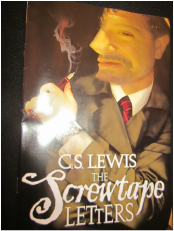 Lewis’ The Screwtape Letters, reveals spiritual warfare from a demon’s point of view. This funny, provocative and wickedly-witty theatrical adaptation, starring Max McLean as Screwtape, will change the way you think about how demons influence your everyday life." Why? This is a show I've long wanted to see, and there were discount tickets available on Goldstar.com. Well? I think my two favorite thing about this production were the staging and the performance of the underworld creature, Toadpipe, Screwtape's assistant who uses mime and contortion and guttural sounds alone to lend a dark humor and fascinating movement to the stage. The sloped stage extending down towards the audience, and twisted ladder extending high into the rafters, certainly enhanced the "we're in the underworld" feeling. The clever updating of the material to include current-day references (Madonna :)) was smoothly integrated; and the amusing use of a vacuum tube mail delivery system to send and receive the correspondence with Screwtape's nephew Wormwood, delighted the audience. 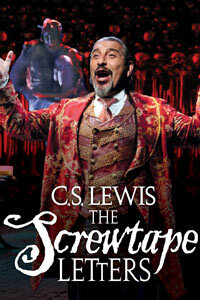 Screwtape was played by Brent Harris, formerly "Scar" in the national tour of "The Lion King," and his performance was masterful. I take particular delight in actors who can elicit audience responses with nary a word; relying on a raised eyebrow or well-timed pause, and he was skilled at this. Lewis' writing is deliciously rich and engrossing, and as combined with the creativity of this production, made for a wonderful 90 minutes of theatre. What? 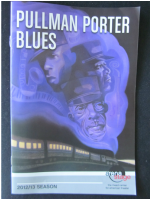 From the show website: "Jam-packed with 12 classic blues songs, including “Sweet Home Chicago,” Pullman Porter Blues is the world-premiere production that reveals the true heroes hidden within every man. It’s June 1937 and the Panama Limited, bound from Chicago to New Orleans, is bouncing to the beat of the rollicking Midwest blues. Most folks are tuned in to the Joe Louis/James Braddock championship bout, but the men of the Sykes family – three generations of porters – know there’s more at stake than just a boxing title, as they battle each other, racial tensions and an uncertain future. Will the hope they get from the Brown Bomber be the fuel this family needs to make a better life or will progress tear them apart?" Why? 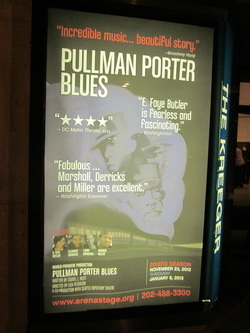 The combination of the blues, historically-based material and the talent in this cast made this an easy decision. Well? I loved it. I only wish I'd seen it earlier in its run so that I could have taken some others to see it as well. This is a superb cast and a lovely set. E. Faye Butler as Sister Juba, the former Pullman maid turned blues singer with a drinking problem and a terrible secret, and the actors portraying three generations of Sykes men, Larry Marshall, Cleavant Derricks and Warner Miller, had a poignant and powerful chemistry. Oh, and their singing and dancing was pretty darn impressive as well! From "This Train is Bound for Glory," to the "Hop Scop Blues" to "Wild Women Don't Get the Blues," you just can't avoid being moved and entertained. What? From the show website: "Million Dollar Quartet is the smash-hit musical inspired by the famed recording session that brought together rock 'n' roll icons Elvis Presley, Johnny Cash, Jerry Lee Lewis and Carl Perkins for the first and only time.On December 4, 1956, these four young musicians gathered at Sun Records in Memphis for what would be one of the greatest jam sessions ever. 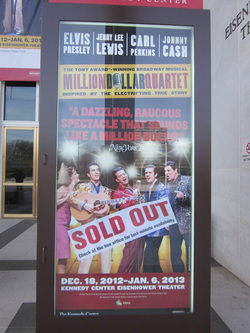 MILLION DOLLAR QUARTET brings that legendary night to life, featuring a score of rock hits including "Blue Suede Shoes," "Fever," "That's All Right," "Sixteen Tons," "Great Balls of Fire," "Walk the Line," "Whole Lotta Shakin' Goin' On," "Who Do You Love?," "Matchbox," "Folsom Prison Blues," "Hound Dog" and more." Why? 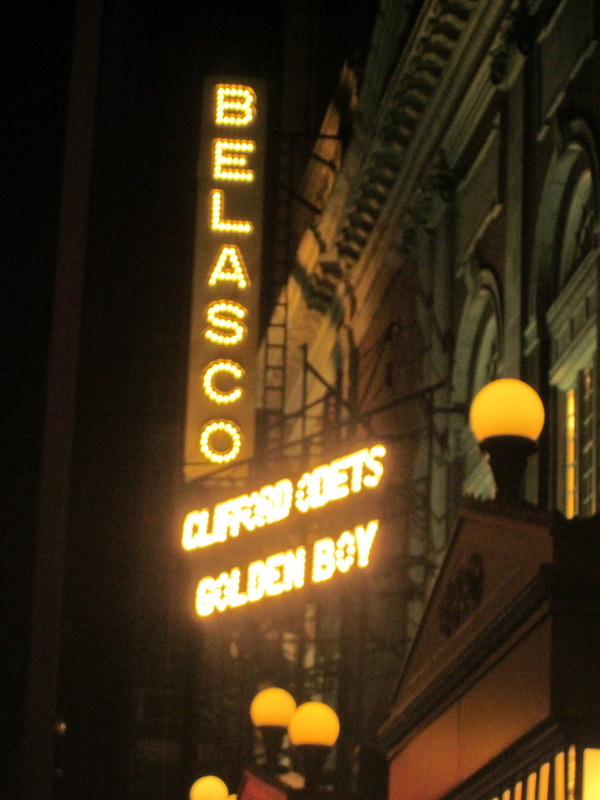 I had planned to see this when it was still running on Broadway, but wasn't able to make it work. Well? This was just too much fun! The music was great, and there was enough of a storyline to make it more than a "cover concert." I was especially impressed with the actors portraying Jerry Lee Lewis and Johnny Cash; each of whom had the necessary charisma to allow the audience to enjoy their performances on their own merits. The set of the recording studio was also well done; particularly given the cavernous nature of the Kennedy Center stages. I don't feel as if I missed anything not seeing it on Broadway, but I'm glad I had the opportunity to enjoy the energy, music and interesting story that made the show a success. What? 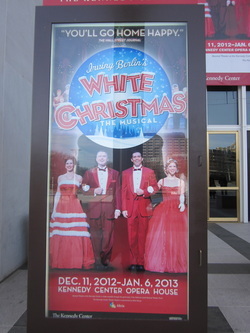 From the venue website: "The classic holiday movie White Christmas comes to the stage at last! This brand new musical shines with classic Irving Berlin hits like "Blue Skies," "How Deep is the Ocean?," and, of course, the unforgettable title song." Why? 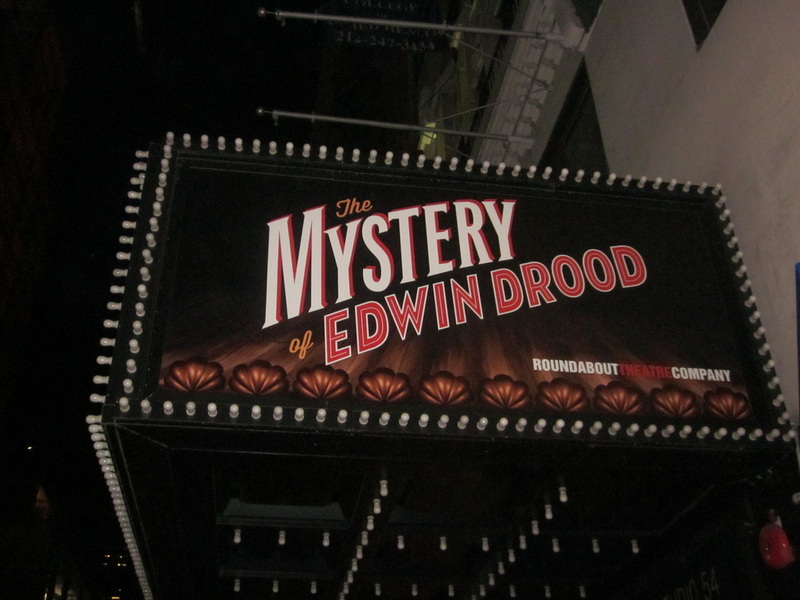 I saw this for the first time in Nov '09 with a dear friend for whom it was her first real Broadway show in many, many years. She loved it and I've been wanting to to share it with my niece ever since; was definitely helped by the discount tickets on Goldstar.com. Nice way to close out the holiday season. Well? I think the Opera House at the Kennedy Center really suffers from being a bit too large for some of the shows that play there. 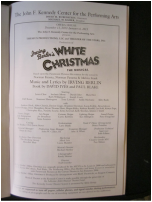 I enjoyed this show much more on Broadway; in part because, although the New York theater was also large, the stage is closer to the audience and the acoustics were better. That said, it's a charming retelling of the original film, and it's tough not to enjoy these classic songs. The cast was wonderful, and the choreography, especially the tap number to "I Love a Piano" at the beginning of Act II, was impressive. My niece liked it, but I think she'd have felt more involved if we'd been closer to the stage. What? 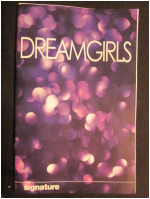 From the show website: "First a smash Broadway musical then an award-winning motion picture, Dreamgirls captures the spirit and hope of Motown when a girl group from Chicago makes it big. In a business controlled by men, the female trio fights for recognition, fellowship and love as superstardom challenges their musical and cultural identity. 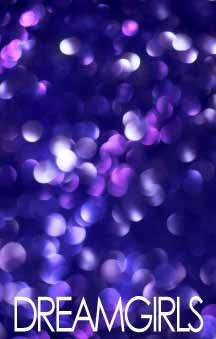 A rich, glowing spectacle about the price of show-biz success, Dreamgirls sizzles with sparkling dance and R&B soul. Featuring the hit songs “Dreamgirls,” “And I am Telling You I’m Not Going” and “One Night Only”." Why? Add this to the list of shows I've never seen but feel as if I should (in a good way :)). Well? 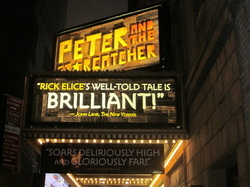 All the praise this production has received is clearly well-deserved!! Signature really does a marvelous job staging these "big" musicals, and continually makes excellent use of the small space available. Not that there's anything "small" about the talent on stage! Nova Payton, who plays Effie, is just fantastic...so powerful and heartbreaking at the same time. Her voice is beautiful and the audience was cheering the amazing notes she was holding during her numbers; and went crazy at the end of "And I'm Telling You..."
What? From the show website: "Emma’s boss is concerned that she is in breach of contract. 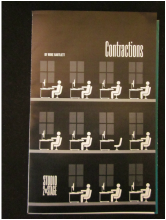 An office romance is dissected over a series of increasingly bizarre meetings in this ink-black satire from one of Britain’s most provocative writers." Why? Saw the listing on Goldstar.com and it looked intriguing. Well? I thought I'd read the run time incorrectly, but it was indeed only 60 minutes, and what a well-used hour it is! Watching the slow meltdown of an employee being suffocated and controlled by the exaggerated stereotype of a "big brother" corporate machine was intense and fascinating. The almost completely white set, impossibly long table between the "manager" (the character fittingly has no name) and Emma during the series of meetings between them that comprise the play, create a crackling, tense air in the theatre. The only color is brought by the blouses Emma wears each time she enters the "room" for a meeting with the icy manager. Those meetings become increasingly bizarre as the situation spirals down, and eventually even Emma's clothing has a meltdown, and the color disappears along with her sanity. I loved the gasps of surprise from the audience as the situation went off the rails...and the fact that there is genuine humor in the play makes it even more impressive. It's quite the commentary on loss of personal identity and freedom when one works for others who can determine the fate of their very livelihood. Why? When "Chaplin" sadly closed a week before my niece and I had tickets; I gave her the choice of shows and she immediately chose this show. She was familiar with it because it had been done one summer at the theatre camp she goes to (Frenchwoods) and she thought it was great. I'd already thought it was up her alley, so I'm looking forward to sharing it with her! Well? I loved seeing it again and noticing bits of stage business that I'd missed the first time; especially the range of Betsy Wolfe's (Rosa Bud) facial expressions, which were endlessly entertaining. But my real pleasure was seeing how much my niece enjoyed the show; she was already planning her votes during Act I! There were other children in the audience; all of whom appeared to be having a blast. The audience involvement, and movement of the actors through the theatre is such fun. I really love that the show embraces the slapstick humor, and cast members don't take themselves too seriously. Clearly everyone is having a great time, especially the audience! What? Based on the book by Dave Barry and Ridley Pearson about an orphan without even a name to call his own, who becomes Peter Pan, and the hilarious, touching characters and events that make that happen. Why? I was committed to bringing my niece to see this magical, wonderful show, and luckily, our tickets are for a pre-closing date performance. We just made it! Well? I will remember this evening forever. I knew my niece would love the show, but I was unprepared for the sheer joy it brought her. She was enthralled and delighted with the inventiveness and hilarity; but it was the heart and sweetness of the story and this remarkable cast that seemed to be the key. I've seen a great many shows with my niece and, like me, she loves the experience of theatre; but I can honestly say I've never seen her this touched. Priceless. What? 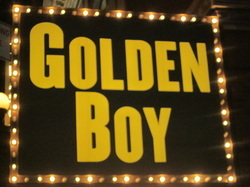 From the show website: "GOLDEN BOY, by Clifford Odets, charts the swift rise of a gifted twenty-one-year-old violinist, Joe Bonaparte, who is corrupted by fame and fortune when he chooses to become a professional boxer. 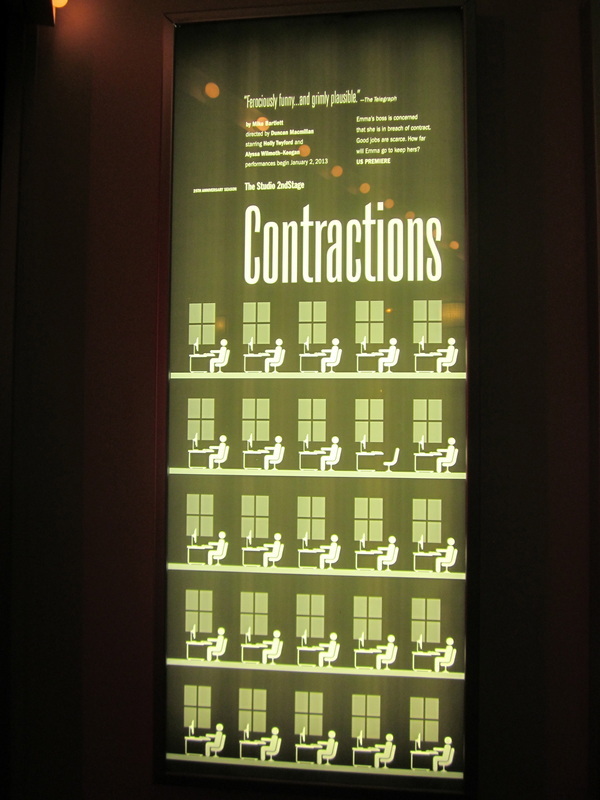 Surrounding his hero with a gallery of sharply written characters who try to shape and guide Joe's destiny, Odets lays out the young man's many facets: sensitive musician, rebellious son, frustrated lover, and self-destructive champion. In the end, it is the seductive promise of the American dream that betrays Joe as it did for so many in the Depression years." Why? I debated this ticket purchase, and read varying reactions from friends, but the buzz was excellent, and I love seeing a good cast at work. What? 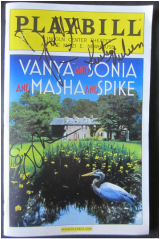 From the show website: "Vanya (David Hyde Pierce) and his stepsister Sonia (Kristine Nielsen) have lived their entire lives in their family's farmhouse. While they stayed home to take care of their ailing parents, their sister Masha (Sigourney Weaver) has been gallivanting around the world as a successful actress and movie star, leaving Vanya and Sonia to feel trapped and regretful. Their soothsayer/cleaning woman Cassandra (Shalita Grant) keeps warning them about terrible things in the future, which include a sudden visit from Masha and her twenty-something boy toy Spike (Billy Magnussen). " Why? I am a huge David Hyde Pierce fan and I really love this intimate theatre space. Well? What a delightfully quirky play! This is the second play by this playwright (Christopher Durang; "La Béte" was the first) I've seen, and I so enjoy his playfulness with the characters and the absurdity of human beings. He's particularly adept at lengthy, hilarious, yet thoughtful and fascinating, monologues (in this case the character is bemoaning the loss of the collective experiences of society pre-digital age, replete with pop culture references spot on for those of us who grew up in the 50s, 60s and 70s) and David Hyde Pierce (Vanya) is genius with the rhythm and "melody" of Durang's writing. He and Kristine Nielsen (Sonia), who plays his childlike, yet somewhat bitter, sister with whom he lives, are brilliant together. I also enjoyed the performances of the young actresses portraying Cassandra (Shalita Grant), the voodoo-using housekeeper and Nina (Genevieve Angelson), the guileless, theatrically ambitious niece of the next door neighbor. 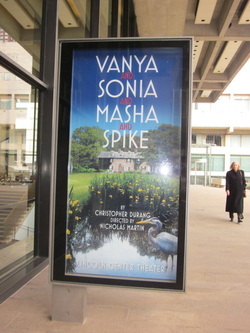 I thought that Sigourney Weaver (Masha, Vanya & Sonia's older sister and a successful actress who has supported them for many years) and Billy Magnussen (Spike, Masha's young, hot boyfriend of the moment), while not as smooth or charismatic with the writing, were completely committed to the physical comedy and silliness required. I was also, once again, so impressed with how this small theatre can be staged so evocatively and make such intricate use of the space; the tiny stage became a seemingly good-sized lake house and surroundings with ease. What? 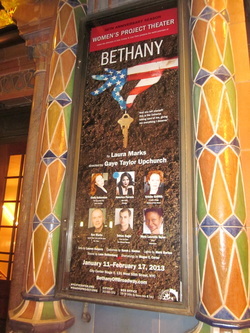 From the show website: "Bethany is a darkly comic exploration of the limits of morality in desperate times. Set in an American exurb wiped out by foreclosures, the play follows Crystal, a financially strapped woman who discovers just how far she’ll go to regain what she’s lost." Why? America Ferrera. Also, I was unfamiliar with The Women's Project and am pleased to find out about this organization supporting theater created by women. Well? Of the four plays I saw this weekend, this spare, searingly raw work will stay with me the longest. America Ferrera is brilliant as a quietly desperate, outwardly cheerful in the most just-on-the-brink-of-despair way, young woman, reduced to "squatting" in a foreclosed house that still has its utilities in working order. Her careful negotiations and fragile "friendship" with her fellow squatter of questionable mental health are tense and foreboding. The set is as bare as her hope; and, in the shadow of Ferrera's palpable humanity, the other characters are chilling in their menace. Except, that is, for the kind social worker, who we discover holds the key to Crystal's hanging on for dear life: regaining custody of her young daughter, Bethany, who was placed in foster care when Crystal lost her home. The dark events in the story are difficult to watch, and profoundly necessary to face as a reality for many of our neighbors in this day and time. I will particularly remember a scene in the play at the height of the ugliness that Crystal must confront about her situation, during which the only sound was the frantic, desperate breathing of a person refusing to give up. I am so grateful to have experienced this play. What? 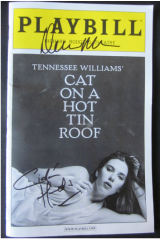 From the show website: "Tony Award® winner Scarlett Johansson (A View From the Bridge, Lost in Translation) returns to Broadway as "Maggie the Cat" in Tennessee Williams' Pulitzer Prize-winning drama, Cat on a Hot Tin Roof. Ciarán Hinds("Political Animals," There Will Be Blood), Benjamin Walker (Bloody Bloody Andrew Jackson) and Tony and Emmy®winner Debra Monk (Curtains, "Damages") co-star in Williams’ classic story about a wealthy Southern family and the passions and secrets that come close to destroying them. On the eve of his 65th birthday, "Big Daddy" Pollitt, the richest cotton planter in the Mississippi Delta, is distressed by the rocky relationship between his beloved son Brick, an aging football hero who has turned to drink, and Brick’s beautiful and feisty wife Maggie. As the hot summer evening unfolds, the veneer of Southern gentility slips away revealing unpleasant truths as greed, lies and suppressed sexuality reach a boiling point. Tony and Emmy winner Rob Ashford, fresh from his recent Olivier-winning West End production of Anna Christie, directs this stunning, must-see new production." Well? Impressive production all around. Three of the four leads, Johansson, Debra Monk and Ciarán Hinds were all excellent. I was less moved by Benjamin Walker, but he did not detract from the end result in a significant way. I did enjoy Emily Bergl's performance as Maggie's sister-in-law. I recognized her from "Desperate Housewives" and thought she had great charisma on stage. The set was stunning and rich in detail, from the floaty, billowing scene curtain, to the soaring french doors and steps at the back of the stage from whence characters would come and go. The bed, front and center, was appropriately and meaningfully placed, and Scarlett Johansson was likewise, appropriately silky yet steely in her movements. The two intermissions are necessary to allow for the tensions to build and for the audience to become immersed in the heaviness of the air, the relentless cruelty and roiling emotions. In case you were inclined to doubt Ms. Johansson's stage acumen, the first act would convince you of her fitness for the role; it's essentially a full-act monologue as she carries on a mostly one-sided conversation with her stone-faced, unresponsive husband, and sets up the storm that is to come. What? From the show website: "Forbidden Broadway, the fall-down funny musical roast of Broadway that has picked up 9 Drama Desk Awards, a Special Tony®, an Obie, a Lucille Lortel and Drama League Award, is back at last with a blast, and not a moment too soon. This New York sensation is returning with an all-new, fresh view of the highs and lows of recent seasons including Porgy and Bess, Anything Goes, Follies, Spiderman, Book of Mormon, Nice Work If You Can Get It, Once, and Death of a Salesman, and features outrageous costumes, hilarious rewrites of the songs you know, and dead-on impressions by an stellar cast! 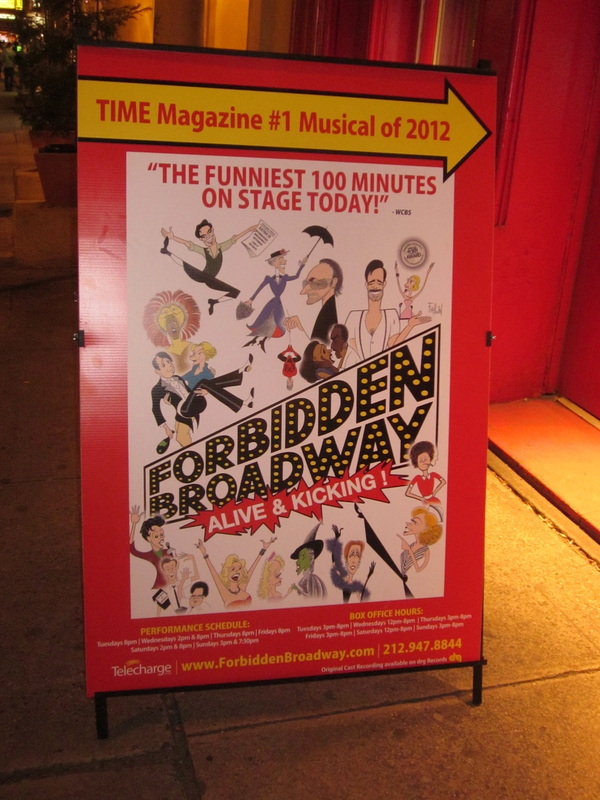 Whether you're a seasoned theatre-goer or new to Broadway, Forbidden Broadway is your one-stop ticket to non-stop laughs." Why? The timing worked and I was intrigued to see if I'd love it or...not. Well? I didn't love it. There were definitely some extremely amusing parts (especially "The Book of Mormon" bit), and, as billed, "dead-on impressions by a stellar cast." In particular, the two female leads, Jenny Lee Stern and Natalie Charlé Ellis, are tremendously talented. By a twist of fate, I ended up seeing Natalie Charlé Ellis in the concert at Joe's Pub I attended the following night (and was impressed again by her talent). However, I thought that several of the show send-ups ranged from the pretentious to the only mildly funny, and, for the cost of the tickets, the production value was lower than I expected. My biggest problem was with the tendency to make fun of the show by making fun of the audience that enjoys the show. It's a pet peeve of mine that the theatrical tastes of others are sometimes ridiculed when a commercially popular show is not a hit with certain factions (fill-in-the-blank Disney show, often). I just don't get the funny in making fun of those in the "burbs" who like the show. I would have enjoyed it more had it been shorter (no intermission, shorter skits in some cases), and smarter (less expected humor; e.g., Annie with a walker, really?). What? From the show website: "Step into the Kit Kat Klub, a place teeming with seedy nightlife on the eve of Hitler’s rise to power in Weimar Germany. This 8 time Tony Award-winning musical classic, based on Christopher Isherwood’s BERLIN STORIES, depicts the interlocking stories of a cabaret singer, a writer from America, and the denizens of Berlin, all caught up in the swirling maelstrom of a changing society. Led by the enigmatic Emcee, allow the denizens of Berlin to entertain you with “Don’t Tell Mama,” “Maybe This Time,” and of course “Cabaret”." Why? 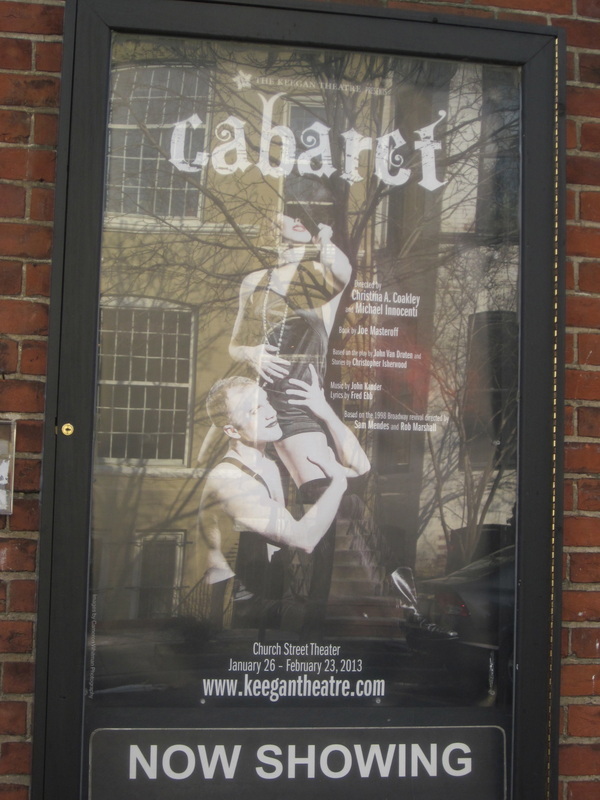 I've never seen "Cabaret" on stage and am excited to see it done by a theatre I like as much as I do the Keegan! Well? 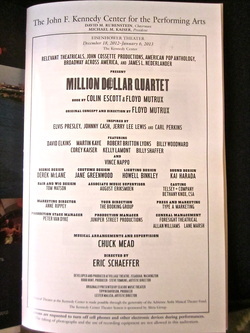 An incredibly talented cast, from leads to ensemble, putting their all into their performances is a treat at any time. 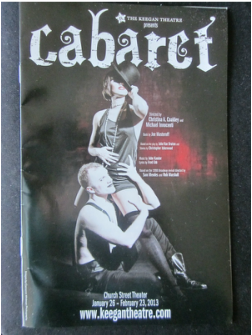 But with a show like "Cabaret" it's even better, because the show itself is rich and elegant. This production is so fortunate in its leads: Maria Rizzo as Sally Bowles is a true star, and Paul Scanlan (just nominated for a Helen Hayes Award for his 2012 performance in "Spring Awakening") has the right amount of oily charm and menacing theatrics. It's an adult show, IMO (although there was a young boy of about 12 at our show, I thought some of the choreography/flourishes were maybe a bit too overly graphic for a child); but each child must be considered individually! Once again, I was so impressed by the set/staging. The Keegan does a tremendous job of making these small productions feel high end; and it's the best of both worlds: an intimate setting with big production value! I overheard the woman behind me saying, at intermission, that she'd seen many previous incarnations of "Cabaret," and that this one ranked up there with the best she'd ever seen! As I mentioned, this was my first time seeing "Cabaret" on stage, and I could not be more pleased that this was my introduction! !